Vishal More is a Former Visiting Fellow at IDFC Institute. 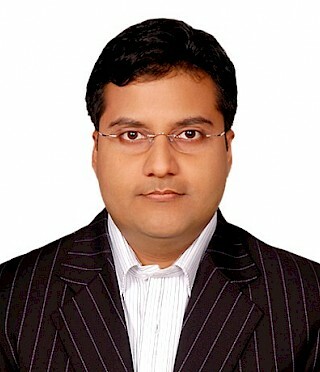 He is also a Partner at Intelink Advisors, a research and consulting organisation based in New Delhi. Prior to this, he has worked at CERG Advisory and Confederation of Indian Industry (CII) as an economist. In a career spanning over 15 years, Vishal has worked closely as a consultant with corporate clients across sectors, independent agencies and multilateral organisations such as The World Bank and Asian Development Bank. Vishal has rich experience in the areas of economic and financial research and analyses, with focus on developing empirically driven prioritisation and intervention strategies based on extensive use of data and customised surveys. His recent work has been in areas of infrastructure, poverty, development and electoral preferences. He has also authored several reports and papers on a wide range of topics including analysis of industrial sectors, investment climate, state and sub-state assessments of development experience in India. He holds a Master of Arts degree in Economics from Delhi School of Economics, University of Delhi. He has also successfully completed the Chartered Financial Analyst programme conducted by CFA Institute.